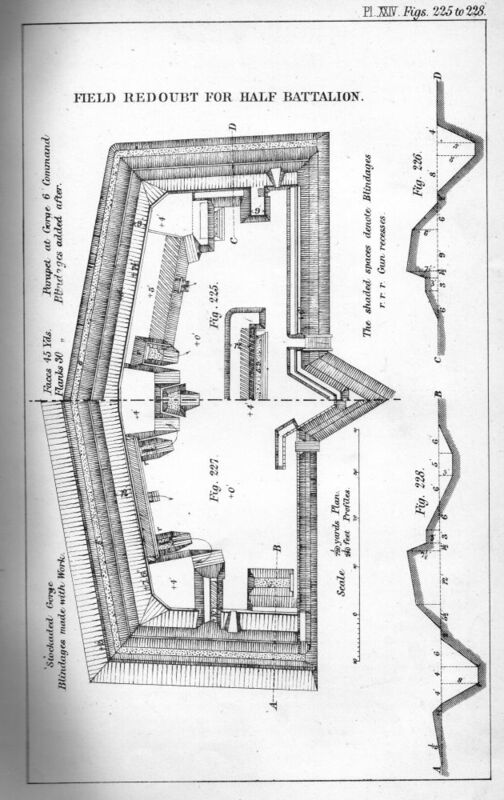 A plan of a typical Redoubt from a text book on Fortification. No.1 South of Palmerston Way. No.3 The corner of Stokes Bay Road with Anglesey Road, south of Anglesey Lodge. 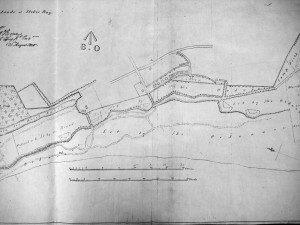 No.4 A short distance along Fort Road north of the later No.4 Battery of the Stokes Bay Lines. No.5 The site of the later No.5 Battery of the Stokes Bay Lines. No.6 South East of No.5 Battery overlooking the present day Golf Course. 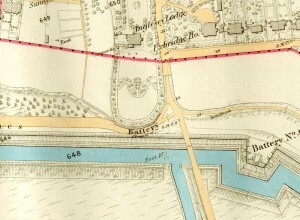 War Department map of 1890 with ‘Battery, remains of’ in the gardens of Anglesey Lodge. 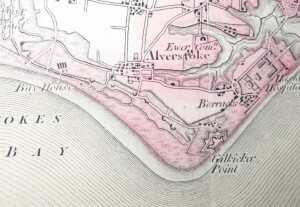 There were also three temporary redoubts which are mentioned in a compulsarily purchase act but do not appear on the maps showing the others. No.7 near to the west bank of Gilklicker Lake. No.9 west of Bay House. 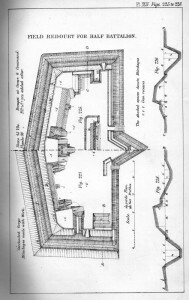 In 1795 guns were issued to five of the redoubts. No.5 was left unarmed. 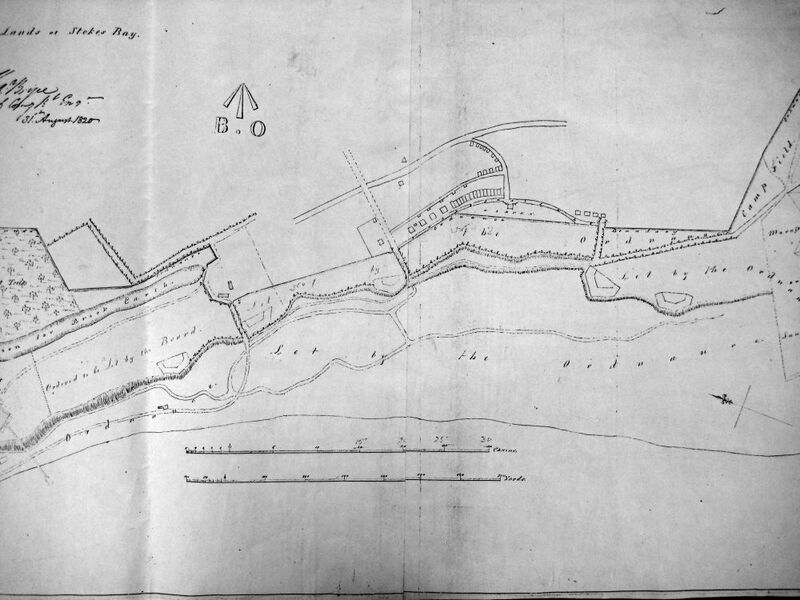 A Board of Ordnance map dated 1820 shows five of the redoubts but No. 4 is missing. 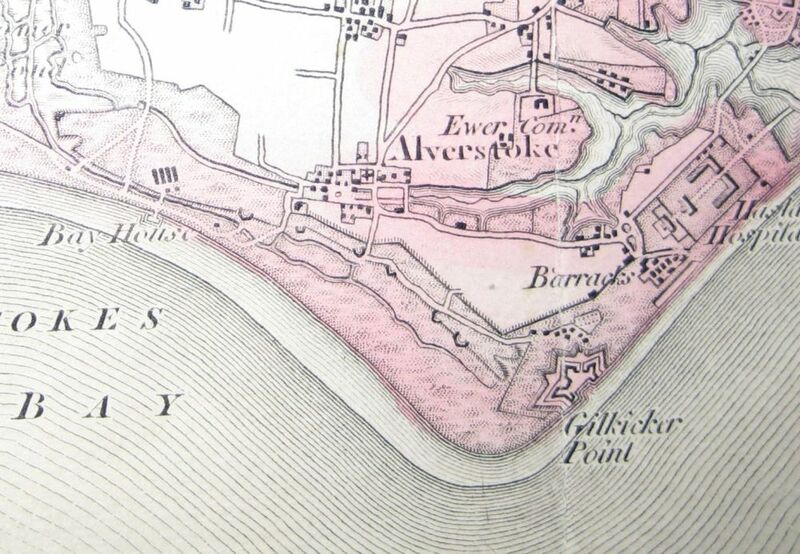 When the Stokes Bay Moat was constructed in 1860 the redoubts would have been superfluous, if they still existed by then. 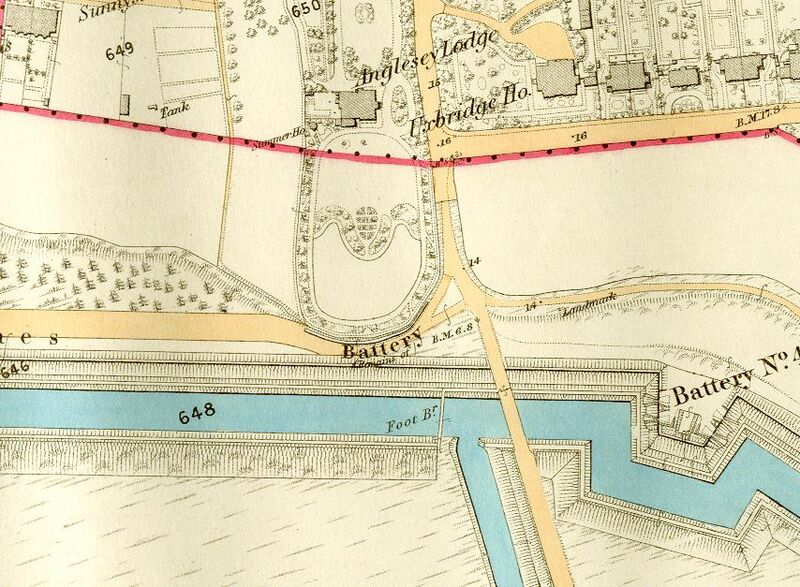 The site of No.3 was shown on an 1890 map as ‘Battery, remains of’ but today no trace can be seen of any of them.